We’re back at Ange and Kevin’s, where we renovated their loft in 2012. 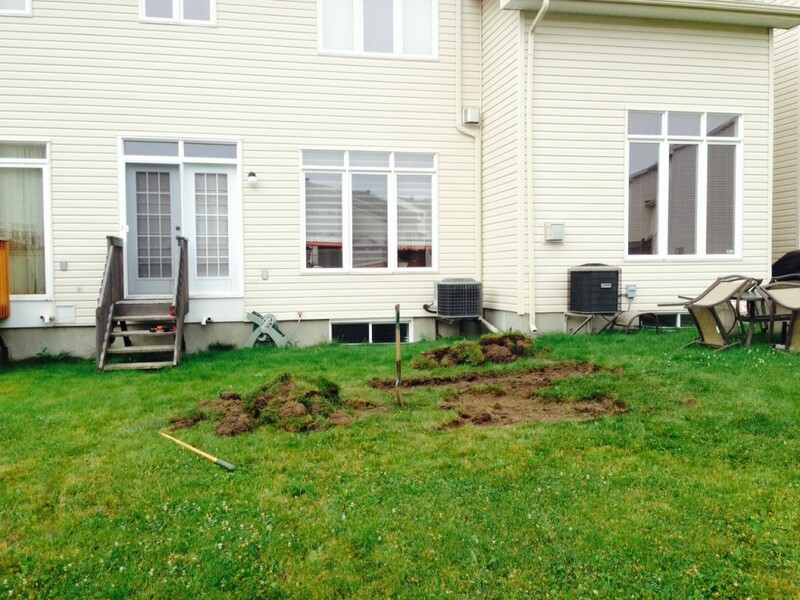 This time we’re transforming their Kanata backyard from a blank slate to an oasis with hot tub and deck. Day 3: Manually carried 1 tonne (yes 1,000 kg) of cement bags into the backyard today, mixed them, then set the fenceposts. Day 7: After losing Tuesday and Wednesday to Mother Nature, we were back at Kevin and Ange’s yesterday. Today we’re laying Grey Veranda composite (simulated wood) decking over the 2×10 pressure treated framework. Composite decking means no annual re-staining, just cleaning. 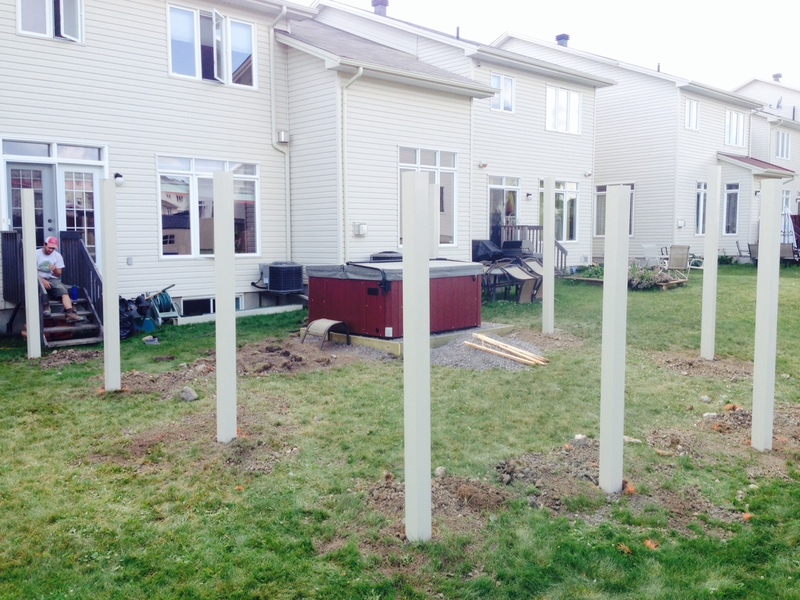 Day 8: Deck, stairs and hot tub installation done. Enjoy!